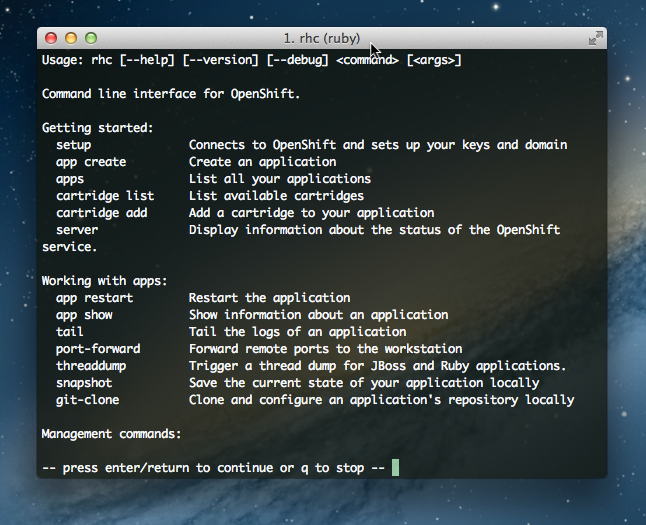 Installing OwnCloud on OpenShift PaaS can be performed from the command line tool cloning the git repository as custom php application. Here is how. Previously, we wrote about how to install OwnCloud on Rackspace Cloud Sites and a tutorial on how to use OwnCloud. After pushing the App, it will take few minutes to see the application browse-able. Default username is admin and password is OpenShiftAdmin. Obviously change them. Cite this article as: Abhishek Ghosh, "Installing OwnCloud on OpenShift PaaS," in The Customize Windows, May 26, 2013, April 21, 2019, https://thecustomizewindows.com/2013/05/installing-owncloud-on-openshift-paas/.